The Region of Waterloo Rain Barrel Distribution program is a one-day only, yearly distribution on a first-come, first-served basis and available only to residents of Waterloo Region. 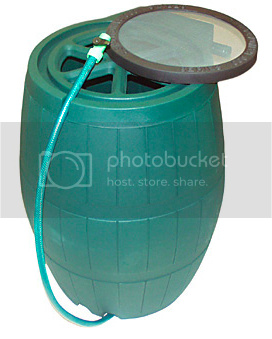 Unfortunately, the Region does not have barrels available for purchase at other times of the year. The Region of Waterloo has distributed 40,000 rain barrels over the last ten years in a program to assist residents who want to save water and be more environmentally conscious. In past years they’ve said “this is the last year”, but that never seems to be true. I got mine a couple of years ago. There were two transport trailers full at the Conestoga Mall parking lot. I arrived at 7:15 am and the line was already hundreds of people long. The previous year I arrived at about 10am and they were sold out. Time: Beginning at 7:30 a.m. and running until the barrels are sold out. Call 519-575-4021 or email watercycle@regionofwaterloo.ca for more details about the Region of Waterloo’s Rain Barrel Program. If buying or selling a home is in your future, interview us to be your agents. We think there is a better way…and so do our clients! Looking for the hose for your rain barrel I have three of them.